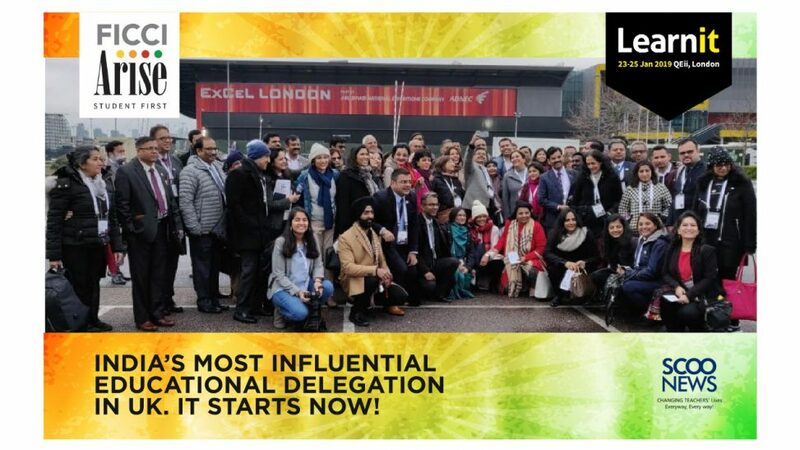 In the month of January, a delegation of 75 educationists from India went to London with FICCI ARISE. The delegation comprised of Government Officials, principals and directors of the premiums schools in India. The journey started on 22nd with snowfall in London followed by 7 am breakfast in the hotel. The next day we attended the Mecca of Education – Bett Show, where, the presenters from all across the globe come together to display their products to make teaching-learning easier and effective. After the grand exposure to the future of education, we went for a hosted dinner by Cambridge University Press. The Indian dinner with Bollywood songs added flavour to the small talks by India and UK head of CUP. The second and third day saw multiple panel discussions and talks on relevant topics at the LearnIT Conference in Central London. I had the opportunity to meet and interact with representatives from the UK, USA, Afghanistan, Nigeria, Helsinki, Brazil and many other countries who are taking efforts towards new education. We also visited the Google Office in the UK. Google’s innovation and new thinking are reflected in its ‘supercool’ workplace. The cold winds and rains didnt stop us from meeting our objectives. I met Gautam Aggarwal ji, representative of Indic Academy from London and opened doors of doing Indic Teen Fest there in the month of August. I also met my good friend, Hindol Sengupta and ensured he gets me good food by hopping at different restaurants. The last day was a set of adventure with a walk of two miles to getting wet in the rain. On and all, my first solo foreign trip gave me new friends, memories and content to reflect on the future of education.